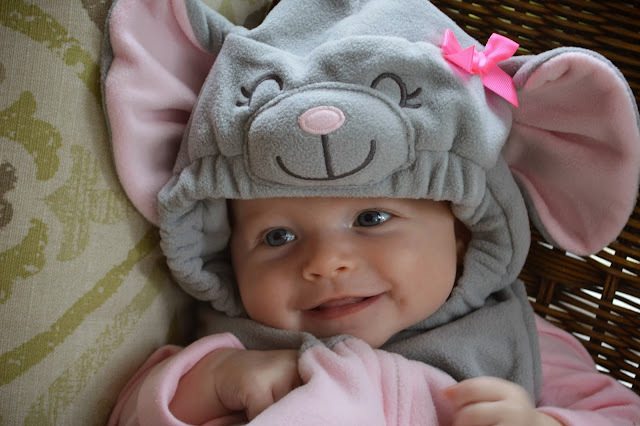 jess at home: emerson kate - 3 months! 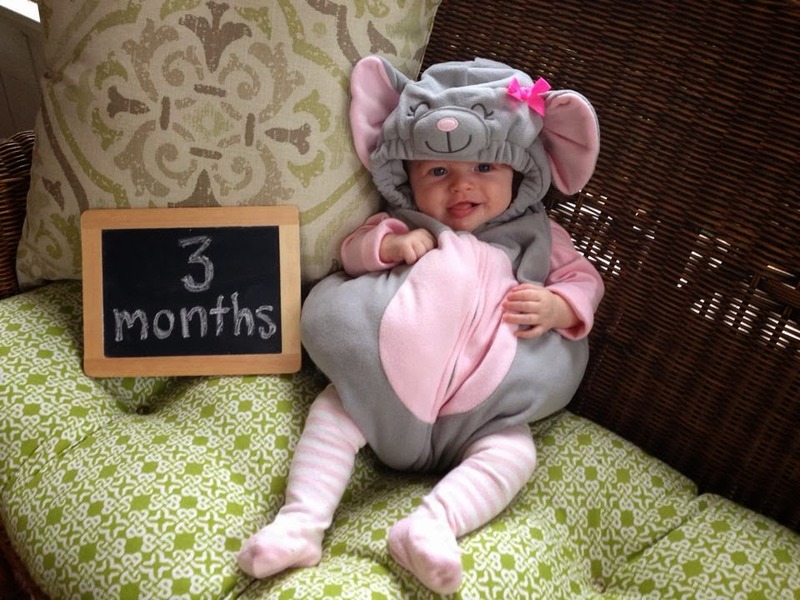 emerson kate - 3 months! I can’t describe how much I love my little Emerson. Her smiles are simply amazing. She can definitely tell who we are and that feels good. She is starting to see us across the room now which is cool. I couldn’t ask for a better baby and I get a huge smile whenever I think about the future with her. Being a Mommy to her has been awesome and each week there is a little something different and new with her. It is really exciting! Size: She didn’t have a 3 month check-up so I weighed her and she is around 11 - 12 lbs and 23” long. Clothes/ Diapers: She is now only in size one diapers, but I have a feeling she will be out of them shortly! My little weed! 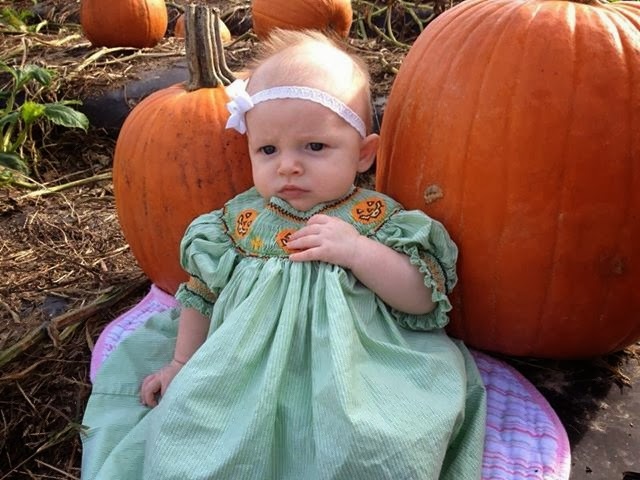 She wears mostly 3-6 month clothing. I feel like I blinked and she grew out of so many things (like socks) before actually getting a chance to use them. I am having a really hard time finding shoes that will fit her - everything is too big! Eating: She still eats 7 bottles a day (every 3 hours) and eats around 4 ounces. Still on the reflux medication although I feel like it has gotten so much better. I am pumping 7x a day and am freezing a little bit. I found out my ENTIRE stash of breast milk was trash. Apparently I have this uncommon enzyme, lipase, that causes my milk to taste like soap after it is 4 days old. Awesome. It isn’t harmful, and I tried to get her to drink it once, but she made it clear that she hated it. So that means that I have to scald my milk before I place it in the freezer….aka a whole extra step. We bought a bottle warmer to make this easier and I seriously wish I had it from day one. Bottle warmers are amazeballs. Sleeping: She still wakes up around 3 for a whole bottle. I will cry with joy once she drops this feeding. The difficult part for me hasn’t been Emerson…it has been the complete lack of sleep. I feel like a zombie. Likes: She now loves getting her diapers changed. Big smiles every single diaper. She also loves her activity mat, swing, and paci. Random: I am back at work. I can’t believe my little party is over! It is depressing and I have no idea really I am going to balance baby, pumping, working, hubby, running, yoga, and life. I only cried 6 times the first day. Better than I thought I would be. And the pump room at work has really been my sanctuary. Sounds strange, but it is nice to have a break and a place that it is ok to cry in (which my coworker admitted she cries in there too so I am not the only psycho). They didn’t ease me back into work either – they expected me to hit the ground running which has been difficult. Me: I am finally seeing a drop in the scale. Halleluiah! I still have 8 pounds to pre-baby weight but feel really good. Also, my belly button looks normal which I am excited about. Belly buttons weird me out and since mine became an outie during pregnancy I was nervous it was going to stay which would creep me out. Get ready for an Emerson overload!!!!!! her facial expressions are the best, and the photos of her on your chest make my heart melt into a big fat puddle. I need to see y'all asap!